“What?! ?” I fought the urge to dive into the trash can and retrieve the trusted tube of triple antibiotic cream. We committed to live a more natural life-style and eliminate toxins from our home, cleaners and medicine cabinet. But my husband jested this time–surely! I am mom of multiple little ones who play hard outside on the farm… cuts, stings, bruises, etc are part of everyday life! But what’s a momma to do if she has no magic little tube of antibiotic infused petroleum jelly!?!? Despite my panic, Hubby’s right. (Wait, did I just put that in writing?!?) The tube of magic antibiotic cream isn’t magic at all. In fact, that little tube of “catch all healer” is actually a masquerader! According to several studies, antibiotic salves contribute to a dramatic increase in resistant bacteria such and STAPH and MRSA. These nasty little bugs get in the little everyday scrapes and cause major problems. If they reach the bloodstream, they can even be deadly. Antibiotic creams don’t just cause resistant bacteria, they also can cause other problems as well. Did you know skin has its own bacterial army? This army of good bacteria lives on skin to colonize and protect the body from invading bad bacteria. To illustrate, think of your skin as a country occupied by many friendly troops, all armed, trained, and ready for war. Not many invading bad guys are going to stand a chance there, right? Yes, triple antibiotic cream kills the bad bacteria, but it also kills all of the good bacteria! Because this leaves the skin as “open territory”, “good bacteria” may not be the only thing that returns to colonize the skin. This article explains how too many antibiotics harm a growing child’s immune system. Ok, so antibiotics aren’t as helpful I thought (hate it when I find those things out). But even the base–plain old petroleum jelly–is a foe in disguise. Did you know it actually slows the healing process? 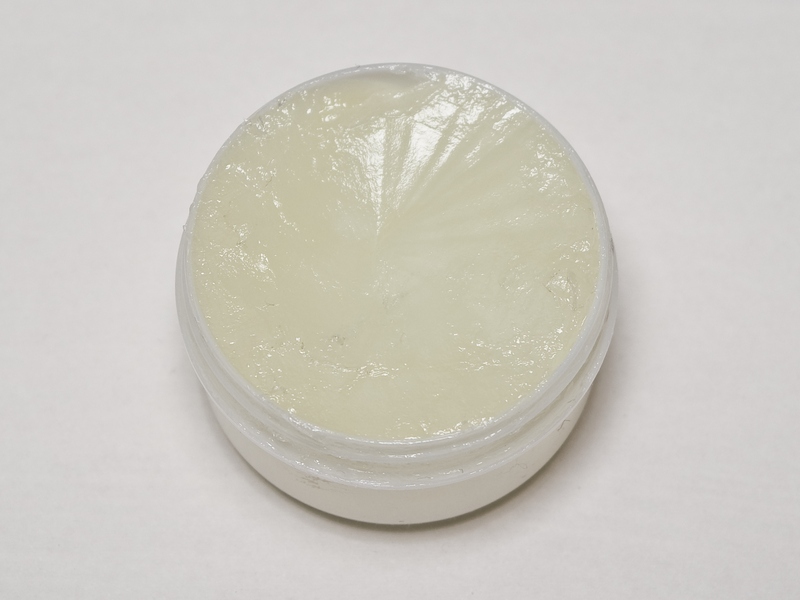 Petroleum jelly earned a rap sheet and is rated the #1 pore clogging toxin (yes–toxin is their word) in the U.S.! Can you hear the lid slamming on my trash can? This mamma is done with antibiotic creams! Now what? A mom cannot face a day filled with “boo boos” empty handed! Fortunately, this mom found answers close at hand. 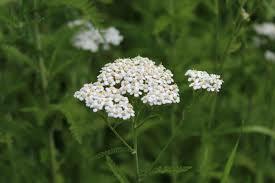 The herb world is full of powerful remedies, and many of them I walk on underfoot ever day. The trick is learning which ones are beneficial and how to use them in an herbal salve! Any of your driveways look like this? 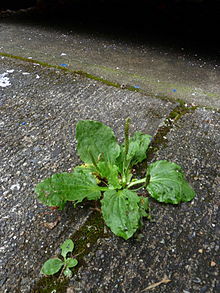 Did you know that pesky, hard-to-kill “driveway weed” is plantain— a power house of benefits with a long history of traditional herbal use. Plantain eases symptoms of bronchitis and ulcers, and is a well-known topical treatment for skin rashes, eczema, bites, stings, and other skin injuries. In addition, it is an anti-toxin (the Native Americans use it on snake bites), contains antibacterial and antimicrobial properties, promotes coagulation, and minimizes scarring. The best part? It’s so easy to use. You can apply crushed or chewed leaves directly to affected areas for immediate relief. Comfrey is a plant I purchased the very first year we started homesteading. At the time, I didn’t know any of its many medicinal uses. I planted it as high quality forage for our goats. Comfrey, with its deep tap root, mines deep minerals out of the soil and makes a highly nutritional snack for lactating dairy goats. We also were in for a surprise when our goat milk production increased with the introduction of comfrey to the goats’ diet. 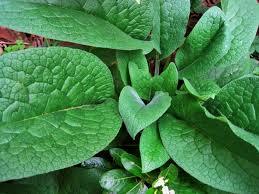 It also happens to attract pollinators, and make highly effective comfrey tea fertilizer. 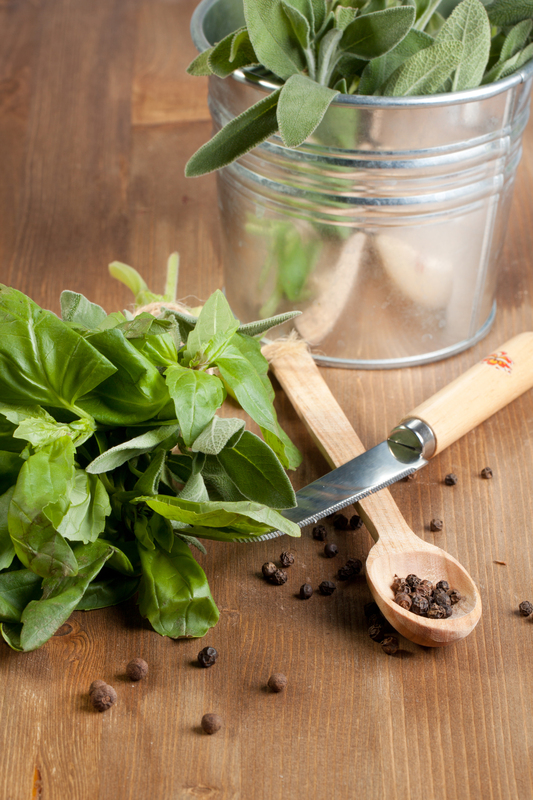 I learned that this valuable plant offers a plethora of other benefits and uses as well! Comfrey contains something called allantoin which promotes healing and cell formation, meaning comfrey aids in healing all the way down at the cellular level! It is anti-inflamatory and boosts the immune system. Wait… aren’t those just marigolds? Well, yes and no. 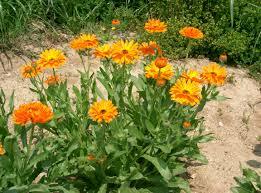 Calendula is a member of the marigold family. Like most marigolds is a gardener’s friend for keeping pests out of the garden and attracting pollinators. This little plant earned its place in the garden for sure but what most people don’t know is how valuable it can be in the medicine cabinet! In addition to being anti-inflammatory and antibacterial, it’s also an antifungal. It soothes conditions such and eczema and diaper rash. Recently BMC Cancer published a study citing Calendula as a cancer inhibitor too! According to a study published in the journal of Basic and Clinical Physiology and Pharmacology, calendula promotes the growth of collagen and increases wound healing by up to 90%. Who else is ready to order and plant Pot Marigold seeds this year? Time to head over to… the spice cabinet? I’m a long time fan of rosemary in the kitchen. Lemon rosemary chicken might be calling my name right now. Or there’s rosemary on roast leg of goat. It’s a favorite at our house for sure but I have totally missed out on all this plant has to offer! 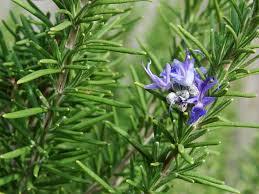 Rosemary can reduce the appearance of droopiness and age spots by increasing skin elasticity. It’s a powerful antioxidant that can protect against sun damage. It is a topical analgesic (pain killer), promotes clotting and has antibacterial properties. Rosemary essential oil can reverse premature graying, promote scalp health, and promote healthy hair growth! Rosemary essential oil can also offer relief for those with respiratory problems such as asthma, and congestion when used in the diffuser. was first discovered to aid wound healing by shepherds who found that their sheep who ate it healed much faster than those who didn’t. It also helps promote healthy digestion, and even treat fevers. Soon we had a medicine cabinet full of herbs and we quickly replaced our little triple antibiotic ointment with something much better. The results thrilled us, but we still found a problem. Herbs don’t exactly travel well. Who wants a purse full of loose herbs for the “what ifs” of life? As if being the crazy goat lady wasn’t bad enough, I needed a way to concentrate the herb-power into a transportable case. This means an infusion of some sort. Many natural oils offered a great potential infusion base, but one stood above the rest. Back to the kitchen again… this time for the olive oil! We all know the nutritional benefits of using olive oil but did you know it doesn’t stop there? Olive oil has a long history of use as a topical skin tonic. For example, olive oil is effective in treating everything from certain kinds of acne, diaper rash, and even eczema. It contains anti-inflammatory properties and penetrates deeply into the skin, carrying the herbal infusion quickly through the dermal layers. Additionally, olive oil contains squalene which is a naturally occurring substance in our skin’s oil glands that protects against toxins and prevents moisture loss. 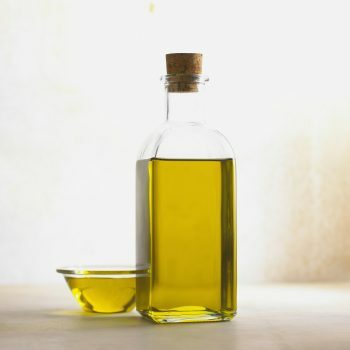 Vitamin E and hydroxytyrosol, a unique antioxidant and antibacterial compound, are also found in olive oil. When it comes to treating acne, olive oil scores 2 points lower than coconut oil on the comedogenic rating scale. This means olive oil is half as likely to clog pores and cause acne compared to coconut oil. For those of you who know my history with acne, this was an important discovery for me. My skin doesn’t need an excuse to break out. I really need an herbal salve I can use to heal the break outs, not cause more of them! My cabinet full of loose herbs went into a olive oil herbal infusion. The addition of Lemon, Lavender and Eucalyptus essential oils provided even more concentrated anti-inflammatory, antimicrobial and analgesic action. Between the oil, herbs and essential oils, I eventually had a tin full of a wonder herbal salve packed with a power house of natural benefits. Now…who better to test it on than a house full of rambunctious farm kids? Test it they did! A wasp stung my middle child (a VERY fair skinned red-head) on her eyelid! Her fair skin reacts to almost anything. This was going to be ugly. In the amount of time it took to find the tin of herbal salve (am I the only one who can’t find things in a crisis? ), her eyelid was bright red and about three times its normal size. My husband, the nurse, began to question if we needed a hospital visit. However, I slathered her eye with herbal salve, told her to keep her eye shut and try to stop her hysterics. In a matter of seconds she told me it didn’t hurt. Just a few minutes later neither David nor I could even see the location of the sting. Thinking it might be a fluke, we waited. This time my husband was the test subject. Another wasp stung David on the side of his neck. He applied the herbal salve and when he came in to show me, I mistakenly identified a pimple rather than the wasp sting. I honestly didn’t see it. Over the following months, the little green salve tin healed knife wounds, burns, bites, diaper rash, cradle cap, itchy rashes, poison ivy, cold sores, dry hands, pimples and just about everything else we put it on. Even the goats found their wounds slathered in green herbal salve. 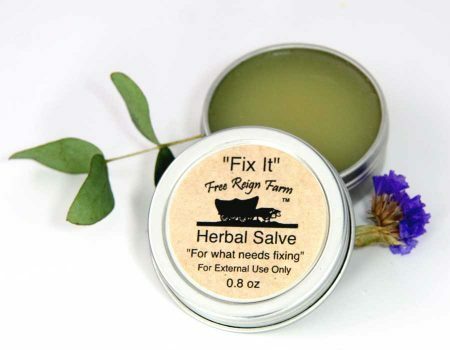 Our kids coined the phrase “Fix It” Salve and our new product was born. Fix It is now a catch-all in our house, well, house, cars, diaper bags, purses, work shop. Despite how well it works I still can’t even seem to find it when I need it! Our stories aren’t the only ones – check out the reviews to see how it’s helped many of our customers. Fix It is non-toxic, packed with herb and essential oil power, and safe enough to eat (just ask the 1 year old) although we don’t recommend that as a normal use for it! Fix It is now available at a discount in packs of 5 or more! Fill the purse, car and bathrooms all at a discount!